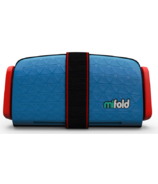 Meet Jon, the inventor of mifold, the Grab-and-Go Booster Seat.Â When his four children were small, he and his family lived in America. Their children were being driven everywhere by other people as well as themselves. Meet Jon, the inventor of mifold, the Grab-and-Go Booster Seat. When his four children were small, he and his family lived in America. Their children were being driven everywhere by other people as well as themselves. 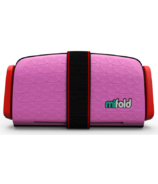 Car safety is important to them and they wanted to make sure that the kids always had the correct car seat, but they often found that booster seats were not available; especially when they were carpooling with other families. So, he thought, if he could make a booster that was really small and really tough, that could easily be taken everywhere, then their children would always be safe, no matter whose car they are in. 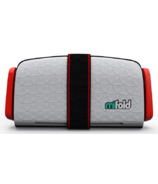 And they've done it, mifold is mighty small and mighty strong. 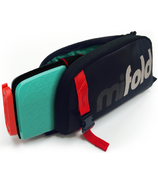 mifold is the most advanced, compact and portable booster seat in the world. It's more than ten times smaller than a regular booster and it's just as safe. 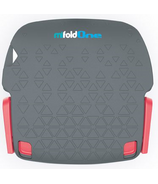 They call it the 'Grab-and-Go' Booster seat.